The Forestry Enterprise Division (FED) is a technical wing of the FNCCI looking after the entire spectrum of forest related issues from the stand point of the private sector. The mandate of FED is to “promote forestry commercialization activities and provide inputs in the formulation of private sector friendly policies and strategies in the sector”. 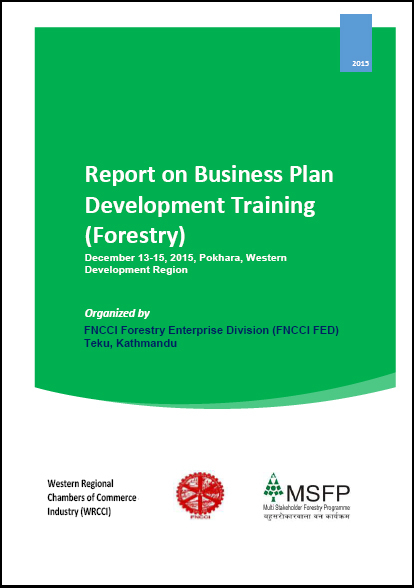 "Creating Economically Vibrant and Sustainable Forestry Business Enterprises and Industries in Nepal"
"Develop FED as a professionally managed forestry business support center for promoting private sector led forestry business enterprise and forest based industrial development in Nepal"
Support sustainable commercialization of forestry products and services by helping to create sound business environment. Mobilize internal and external funding for sustaining FED operations. Organize forestry business and product promotion events such as trade fair, exhibitions, and business partnership forum. This project has been successfully completed on June 15, 2016. It was initiated under the partnership agreement of FNCCI and Multi Stakeholder Forestry Programme (MSFP), which was signed on December 31, 2014. The overall objective was to promote engagement of private sector in the forestry sector policy process and commercialization of forest products. Institutional setup of Forestry Enterprise Division within FNCCI and function as a Liaison/ Information-hub for existing and upcoming producers, investors, traders and related stakeholders. 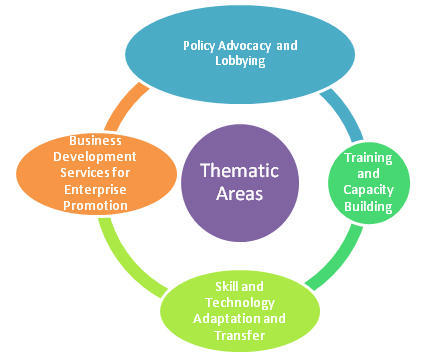 Actively engage in policy contribution and advocacy for favorable forestry business environment. Support Forestry Business/Commodity Associations and Districts Chamber of Commerce to enhance their capacity as ‘Business Development Service Providers’ to local producers and enterprises for market linkages, technical backup and to attract investments.